Many people only begin investing because they are thinking ahead to retirement. It's not that they desire passive income today, but, rather, they plan on continuing working throughout their career and want to make sure when they can no longer show up to the office or punch a time-clock. They'll never have to worry about putting food on the table, being able to afford prescription medications, having a place to live, or being able to pay for the things that provide both entertainment and enjoyment in their lives. A fantastic example of what is possible when you think long-term and arrange your financial affairs wisely is Anne Scheiber, the retired IRS agent who amassed a fortune that, in 2016 inflation-adjusted dollars, would be worth $34,380,000 in modern purchasing power. She did it starting with only a small amount of savings and a modest pension, building each position in her portfolio from the tiny apartment in New York City that she called home. You can read about the Anne Scheiber fortune in this case study and break down some of the lessons we can learn from her behavior. Another example is janitor Ronald Read, who earned near minimum wage working at Sears. When he died, it was uncovered that he had quietly accumulated more than $8,000,000 in blue-chip stocks. His dividend income was in the six-figures per annum. The list goes on and on, but the point is these people were not necessarily exceptional in terms of intelligence or the number of hours they worked. Rather, they took advantage of the power of compounding, gave themselves a long stretch to let their money grow, focused on reducing risk, and understood that, ultimately, a share of stock is nothing more, and nothing less, than an ownership stake in a real operating business; that when it comes to acquiring stock, your job is to buy profits. The most important key to retiring rich is to start investing as early as possible and then, to live as long as possible. Many workers, strapped for cash or eying a major purchase, tell themselves they can make up for lost time by making higher contributions in future years. Unfortunately, money doesn’t work that way. Thanks to the power of compound interest, cash invested today has a disproportional impact on your wealth level at retirement. To put the matter into perspective, consider two possible scenarios; both assume our hypothetical investor retires at 65 and enjoyed an annual compounded rate of return of 10 percent, which is generally considered ordinary and satisfactory for equities over long periods of time. John is 40 years old and invests $20,000 a year for retirement. Charlotte is 21 years old and invests $5,000 a year for retirement. By the time each of these individuals retires, they will have invested $400,000 and $220,000 respectively. Yet, because of the power of compound interest, John would retire with half the money as Charlotte despite investing twice as much! The moral of the story? Stop robbing your future to pay for today. When it comes to IRA contribution limits, Uncle Sam’s motto seems to be “use it or lose it”. Workers that haven’t made the maximum permissible contribution to their Traditional or Roth IRA by the cut-off date are flat out of luck unless they are in their mid-fifties and qualify for something known as a catch-up contribution. Why are IRAs such a big deal? They allow you to enjoy either tax-deferred or tax-free growth, depending upon the type of IRA you use. That, in turn, allows you to use strategies such as asset placement. For example, a Roth IRA is the closest thing to a perfect tax shelter as exists in the United States. As long as you follow the rules and don't do anything too out of the ordinary, you can effectively avoid paying taxes on any of your capital gains or dividends for life. As importantly, IRAs have different types of asset protection levels. A Roth IRA, by way of illustration, is generally protected from creditors for amounts up to roughly $1.25 million in the event of a bankruptcy, with only a few types of liabilities being able to invade the protection, including tax liens and divorce settlements. Other types of IRAs have no limit on the amount of bankruptcy protection they offer. Many companies will match a significant portion of your earnings based on the contributions you make to your 401(k) plan. If you are fortunate enough to work for such a business, and millions of Americans are, take advantage to the fullest! If you don’t, you are walking away from free money. Even if all you do is have your 401(k) contributions parked in cash and cash equivalents, it's often an instant, practically risk-free 50% to 100% return. If you are anything like the average American worker, the odds are fairly substantial you are going to change jobs at some point during your career. When this occurs, the most foolish thing you could possibly do under most circumstances is to cash out of your retirement investments. Instead, roll over the proceeds into a rollover IRA or your new employer’s 401k plan. 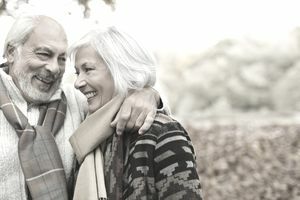 In addition to avoiding the significant taxes and early withdrawal penalties that you otherwise might have incurred, you will be able to keep your money working for you tax-free or tax-deferred, making it a lot more likely you'll reach retirement with more money than you otherwise would have had. Given enough time—you already saw the power a few decades can have on seemingly small amounts of money—this could mean the difference between vacationing in Tahiti and having to take a part-time job to supplement your income. Ultimately, for most people, the best way to get rich by retirement is to get your hands on ownership of productive assets, particularly equity stakes in excellent businesses. A truly remarkable business, bought at an intelligent price, can work wonders in ways very few people seem to understand. The general public foolishly focuses on short-term market value—usually defined as anything less than five-years—and, in the process, misses the forest for the trees. Look at a company like Hershey. An example of how intrinsic value can deviate from market quotation is the experience of an owner who held it between 2005 and 2009 when the stock lost 50 percent of its value, slowly declining despite profits being fine, dividends increasing, and the price to earnings ratio, PEG ratio, and dividend-adjusted PEG ratio all being fine. You'd have been a fool to sell it or even lose a moment's sleep over it. The company's market share is extraordinary. Its returns on tangible capital are breathtaking. This is a business that has been around for more than a century. It sailed through the Great Depression. It made it through the 1973 to 1974 meltdown. It survived the dot-com bubble. It kept on going during the 2007-2009 collapse. Today, the firm announced its 346th consecutive quarterly dividend; an uninterrupted chain of checks sent out to owners going back generations. Everybody has known how fantastic this enterprise is but few people actually do something about it. Consider this: Imagine that it is late 1982. Hershey is the largest chocolate company in the country; a name practically every citizen, young and old, knows. You decide you want to buy $100,000 worth of ownership. It's the bluest of the blue chips. It has a strong balance sheet. It's just what you want in your brokerage accounts and trust funds. This is not exactly a radical proposition by any means. What would have happened? As of May 2016, you'd be sitting on somewhere around 49,739 shares of the stock with a market value of $4,582,951.46 plus you'd have collected $1,174,337.79 in cash dividends along the way for a grand total of $5,757,289.25. This assumes you didn't reinvest any of those dividends, either, and that you never bought another share for the rest of your life! Find your Hershey. There are often things right in front of you, things you know have a low chance of losing money over long periods of time and are no-brainers. Take advantage of your specialized knowledge. Make sure you have ample diversification to protect yourself if you're wrong. Don't buy stocks on margin. It isn't that complex. Time and compounding will do the heavy lifting if you let it. You have to plant the right seeds in the right soil and then get out of the way.